AcuraLink at Miami Acura in Miami Florida! Enrolling in AcuraLink® The Next Generation or upgrading your subscription is only one touch away. Simply press the "Link" button on the overhead console to speak to AcuraLink support-24 hours a day, seven days a week. Or if you prefer, call 1-877-375-2638 or contact your Acura dealer. AcuraLink The Next Generation audio systems work seamlessly with iOS® or Android™ devices using the AcuraLink Streams app. Powered by Aha™, the Streams app delivers cloud-based media like podcasts, internet radio stations, even content from sites like Trip Advisor, Facebook and Twitter. The Streams app uses your phone's cellular data. Please consult your wireless provider to ensure you do not incur unexpected charges for your data usage. With AcuraLink The Next Generation, your vehicle's navigation system can access continuously updated local traffic data so you have precise information on freeways and surface streets, which allows the system to calculate the best way around congestion. The Standard Package is free for the first three years of ownership on every vehicle equipped with AcuraLink The Next Generation. To enroll or upgrade, simply press the "Link" button on the overhead console to speak to AcuraLink support-24 hours a day, seven days a week. Or if you prefer, call 1-877-375-2638 or contact your Acura dealer. For information on additional packages or upgrades visit www.owners.acura.com/acuralink/nextgeneration. 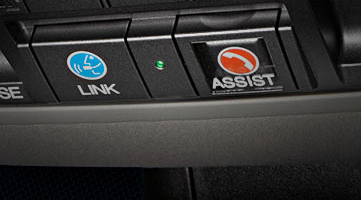 * Connect and Assist features are not available on all RLX, TLX and MDX models. Live support and automatic request for emergency response services require a Connect or Premium subscription. See Packages & Pricing for details. If the vehicle is unable to make a cellular connection due to signal strength, location or other technical difficulty, Connect and Assist features will not function, and automatic request for emergency response services will not occur. Neither Acura nor affiliated service providers can control whether emergency personnel/first responders will respond to any request for emergency response services or do so in a timely manner.